Just found this in advance mode after new update. 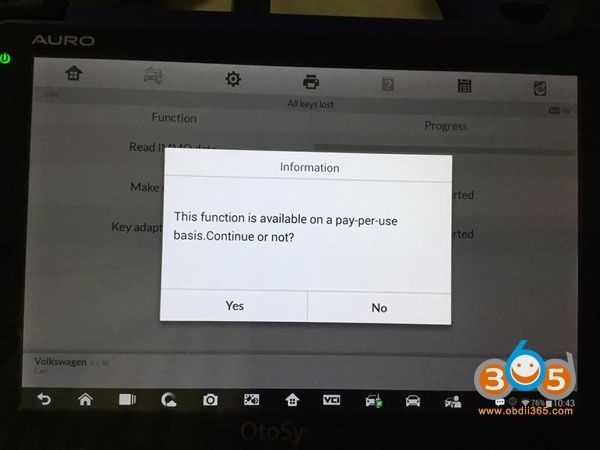 When try to program VW 4th immobilizer all keys lost, Auro otosys im600 gives error message “This function is available on a pay-per-use basis. Continue or not?” How to obtain token for otosys ? Contact us and pay via Paypal.